1) The choice in bags. My gosh, if you’ve got yourself a spare hour set aside I do strongly recommend spending that browsing the site at all the creations they have to offer. I would bet my LYDC collection that theres something EVERYONE, everyone. 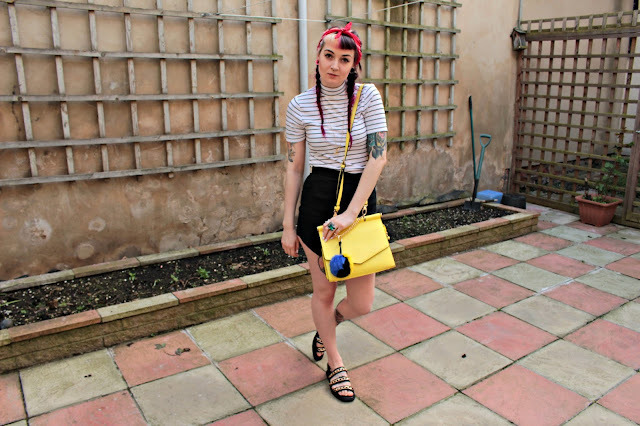 I am totally in love with my lemon number and its just so perfect for the summer months coming, how great does it look with this french/spring-vibez outfit thing I got going onnn’ ? 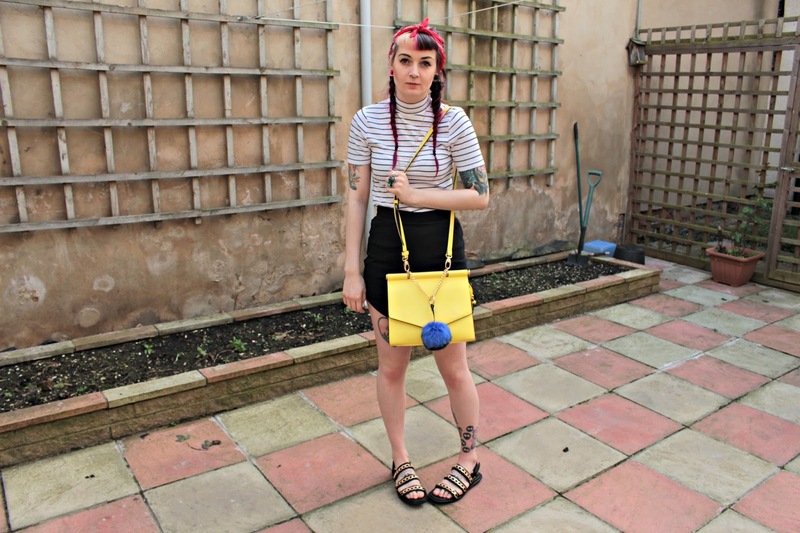 2) The cute accessories that go with the beautiful collection of bags, have you seen the pom poms for crying out loud!? Bonus points for the softest synthetic fur used, no animals hurt in the making my friends and well that makes me all kinds of happy. 3) The staff. [shout out to Chloe the top BABE] So genuinely caring and attentive towards customers, totally catering to what they want and delivering it oh so perfectly. Companies and this kind of customer care is far and few between at the moment which is sad. 4) ANNA.SMITH as mentioned in previous post I love LYDC’s ‘’alternative sister” If you love novelty bags/clutches, from watermelons to clapper boards and bold prints and have all the edges Anna Smith is for you. 5) DID YOU KNOW THEY CLOTHES TOO?! yup you read right, LYDC now have clothes though Lispy. Keep checking back to their site as more and more pieces are added, i’m excited are you excited? 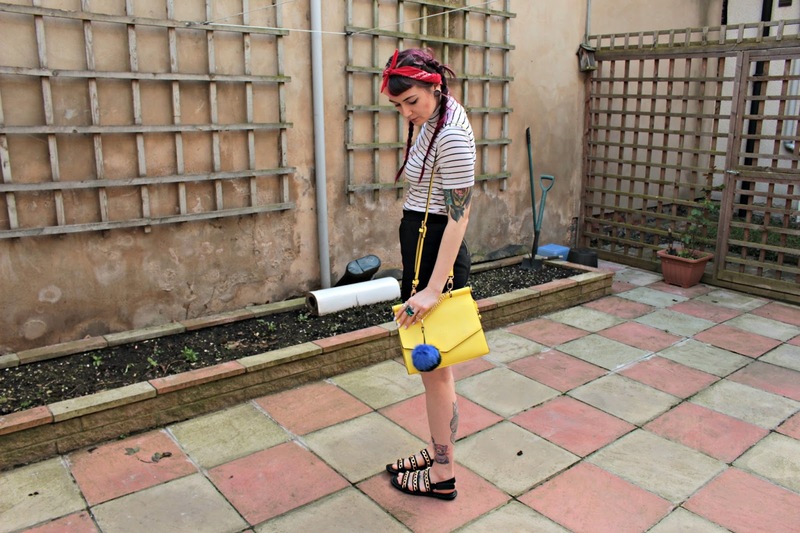 That reminds me, I need to make space in my wardrobe for their new drop. . . .
What do you think to LYDC and their bags? Add “Jess10” at the checkouts for an extra 10% off ^_^ a gift from me to you ;) well LYDC but you get the gist pals. Love the bright color of your bag~! That bag is stunning, I really need a pop of colour to brighten up my all black wardrobe. That bag is super cute! Definitely wouldn't normally go for a yellow bag but I love the quirky shape and it really pops with the monochromatic outfit! 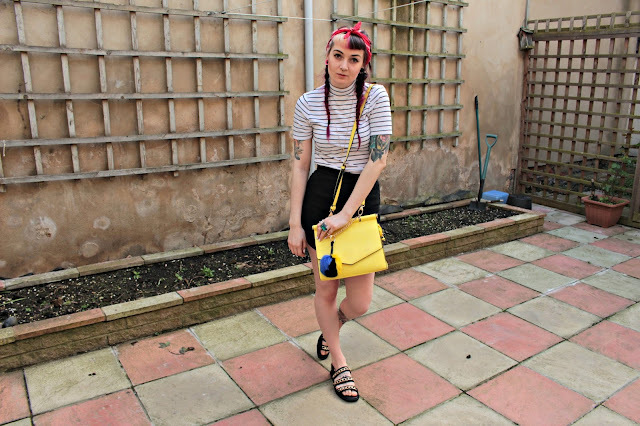 Omg I didn't even know I needed a yellow bag in my life before now, haha! Point three is so nice, I would be over the moon if a blogger wrote something like that about the campaigns I've managed. Did the bag some with that cute fuzzball charm, or did you add that? I love everything about this post but most of all I have to say I am in love with your Moomin tattoo!!!!!!!! how amazing!!!!!!! I have one too!! we're moomin tattoo twins!!!! Eeeeppp!!!!!!! Amazing!! hahahaha! 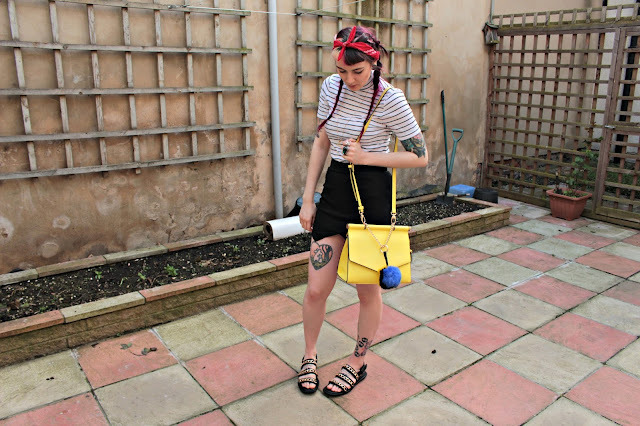 hope you don't mind this comment not really being about your gorgeously stunning summer yellow bag, or the fun pom pom which adorns it or the fact that I love your outfit!!!! hahahaha!!!! !